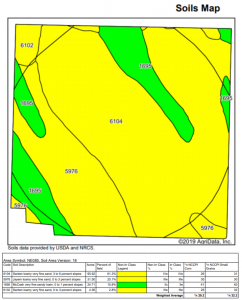 Description: Productive pivot quarter with county road access on the south and east side. Livestock water is provided by a submersible pump. From Grainton, Nebraska, 12 miles south on Rd.351/Ave. 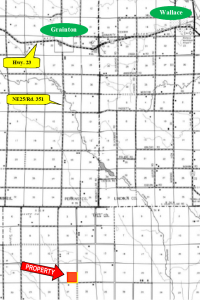 350, then east 1/2 miles on Rd.746, to the south border of the property. SE1/4 Sec. 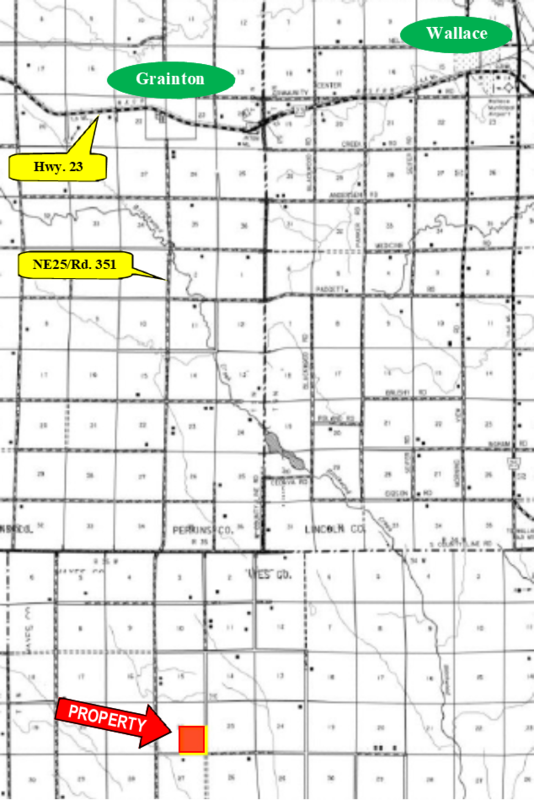 22-T8N-R35W of the 6th P.M., Hayes County, NE. 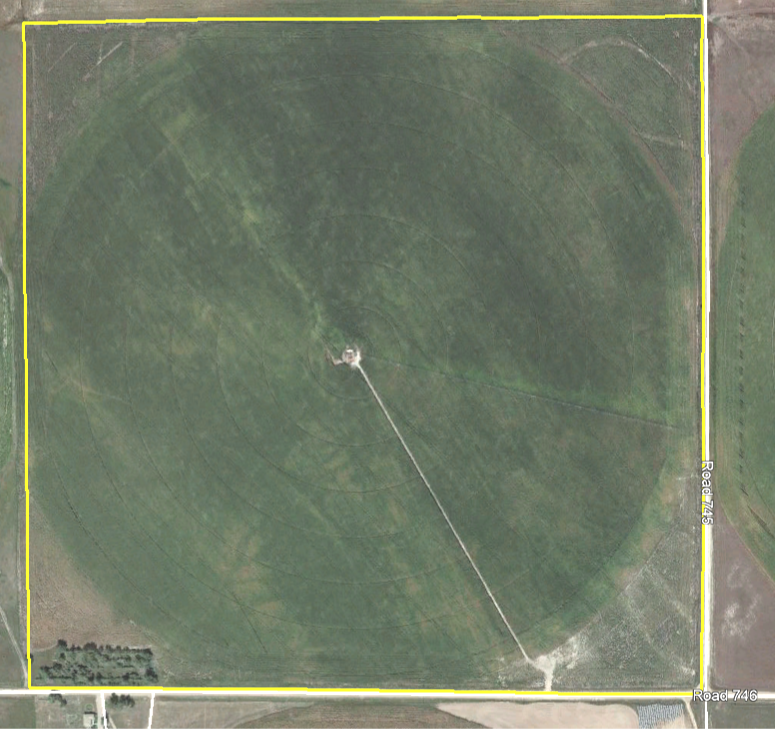 The property includes 134 pivot irrigated acres, 22 acres of dryland. 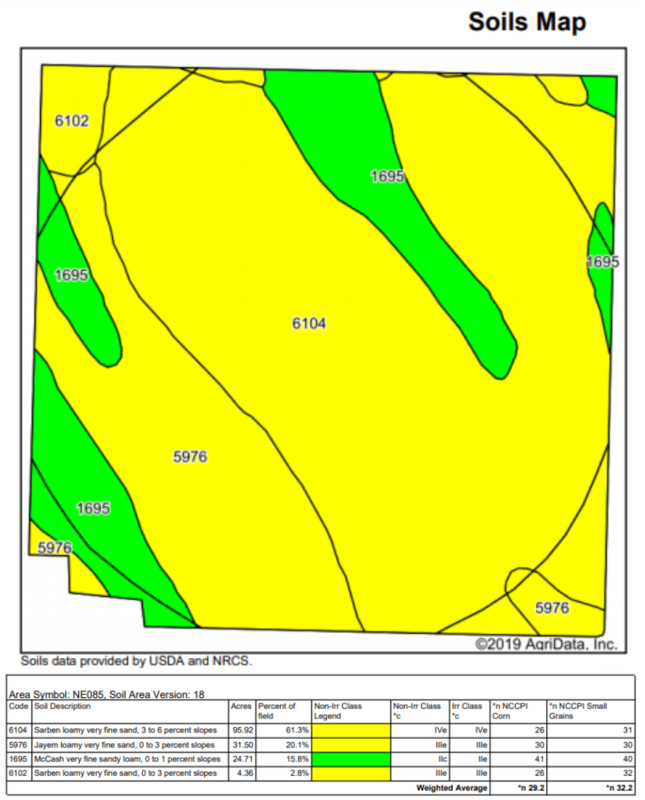 Republican NRD with 135 Certified Irrigated Acres. 1 Valley center pivot, Sargent pump, Amarillo gearhead, Lima generator, and John Deere 4045 engine.